More than a year later, the children injured in the January 2010 earthquake in Haiti have renewed hope thanks to Project Medishare for Haiti partners, the Knights of Columbus, Ossur, and the Challenged Athletes Foundation. On March 5, the Knights of Columbus unveiled their latest effort to help Haitian children injured in last year’s earthquake, with the opening of a state-of-the-art prosthetics and rehabilitation center at Bernard Mevs Project Medishare Hospital. The Össur International Prosthetics and Orthotics Laboratory is the result of the Knights’ partnership with the Iceland-based Össur company – a leading prosthetics manufacturer – and the medical charity Project Medishare. The Challenged Athletes Foundation will also begin offering their assistance in rehabilitating the child amputees. At the ribbon-cutting and grand opening ceremony on Saturday, March 5, prosthetics company’s founder Össur Kristinsson, also an amputee, presented more than 600 modular prosthetic systems for use by Project Medishare in the “Healing Haiti’s Children” program. A joint project of the Knights of Columbus and Project Medishare, the program offers prosthetic limbs and rehabilitation to every child injured in the earthquake that devastated Haiti in January 2010. More than 100 child amputees have already received help and rehabilitation since the program began in the summer of 2010. 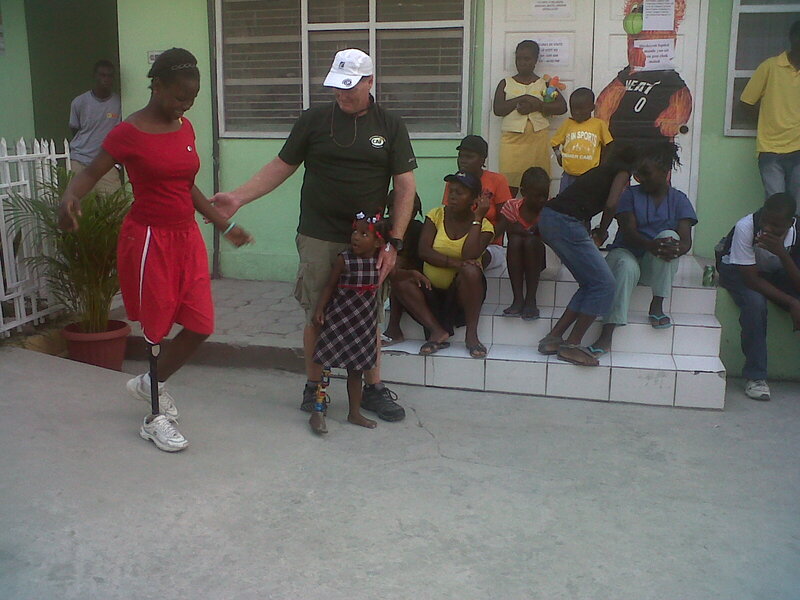 Each of the children receives a two-year course of free prosthetics and physical therapy.